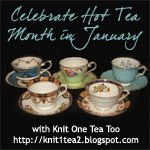 In celebration of National Hot Tea Month, I'm joining up one last time with Knit One Tea Too to share about tea. This week is about our favorite tea snacks. I realized that I have already posted many of mine at one time or another, so I'll put them together here with links. 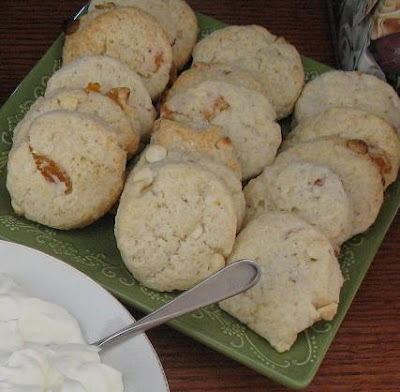 This is one of the yummiest - White Chocolate Apricot Cream Scones. 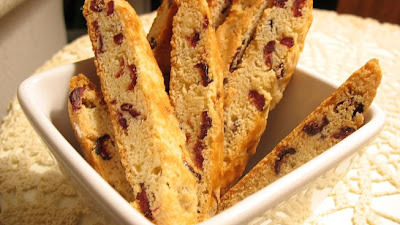 And I can't have enough Dried Cranberry Biscotti. I love it with tea! 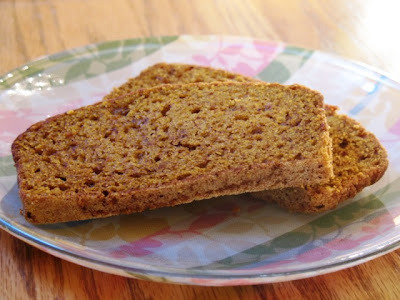 I like this Pumpkin Bread any time of year. 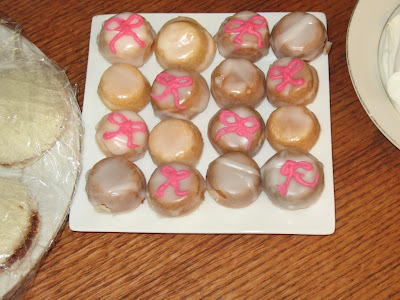 Almond Baby Cakes are always gobbled up by my son! And I can't believe I don't have a picture of this one: Luscious Lemon Cake. It's so yummy and very easy. Grab a lemon and you probably have the rest of the ingredients on hand. Those are some of my favorite things to eat with tea, though I will eat these goodies anytime! What are your favorite tea time snacks? You have all week to post about it and link up with Knit One Tea Too! P.S. Don't forget to enter my chocolatey giveaway if you haven't yet! Or if you need a more low-cal giveaway, enter to win a WW Cookbook on my other blog. As your top commentator I want to comment that I love tea for Tuesdays. I love biscotti and must try that recipe. I wish we could have tea and talk about how we became top commentators LOL. You know we'd have a good ol' time!!!! Hugs to you MY top commentator! Did I make you laugh this morning? Honestly, it's such shame we are on opposite coasts. You realize I would invite myself over for tea every week?